The Total Price = Session Fee + Collections. Our pricing structure includes two parts: the session fee and collections. You only need to pay a session fee in front to book a spot. Then you will decide what product collection to invest in when you see the actual enhanced photos 2-3 weeks later in your viewing/ordering appointment. 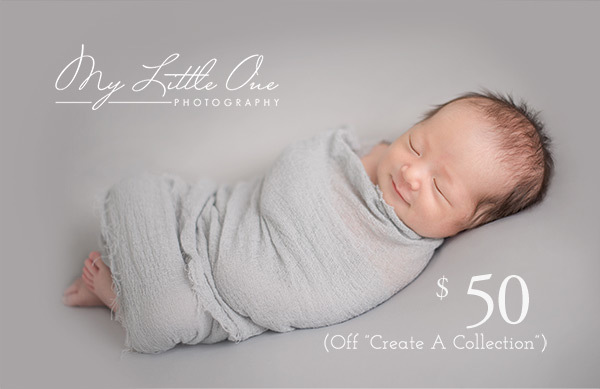 *If you book both Deluxe Maternity Session and Newborn Session, there will be $100 off discount on session fee. For more than 5 Family members, please contact us for your quote. Session fee covers pre-session consultation and booking in person or by phone, your portrait session with our photographers’ talent, access to our gorgeous props, post-session processing and preparation of your images, design process and a private viewing/ordering appointment at our studio 2-3 weeks after the photo session. These are the prices for people who only want digital files. You will get both artworks and more retouched high-resolution digital files in this way. It’s much more valuable than buying digital files only. Our printed artworks can live for over 70 years, whereas digital files have an average 3-5 years of life in your hard drive. Here are the top 4 popular collections that most of our clients chose. You could either pick one of them or create your own collection based on your taste. Keep in mind that you DO NOT have to make any investment decision before you see the actual artistically enhanced photos. If you like our photos, just book with us with no risk. 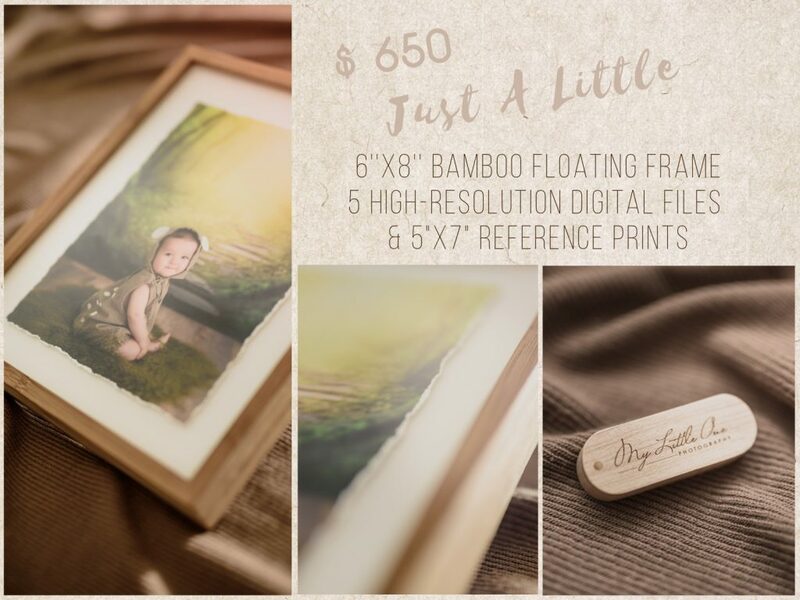 Please feel free to contact us for more information about our Canvas, Album, Bamboo Box, Frames, and much more other products. For your convenience, Visa, MasterCard, and American Express are accepted. Prices are subject to change without notice. Current pricing will be honored for thirty days for sessions that are booked with the retainer fee. Special promotional discounts or other offers cannot be combined. Thank you for browsing our website for a long time. Here is our gift for you to use on your ordering appointment. This page will only show once. Take it before you close it.